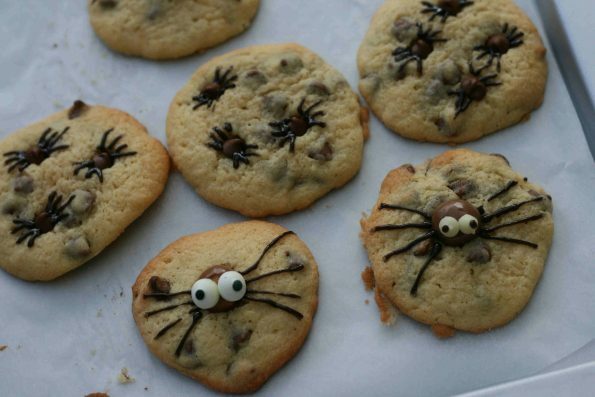 Take some regular cookies, add some chocolate decoration and you get some spooky spider cookies. These are fun to make and a real hit with adults and children alike! 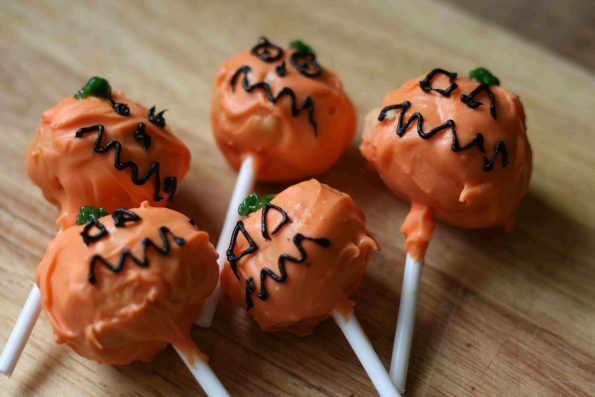 Make or buy a cake, smash it up and turn it in to an eye catching cake pop. Simple! 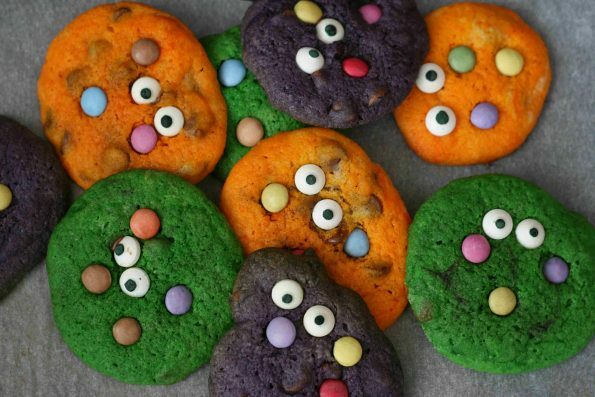 Use some Halloween colours and some googly eyes to turn some regular cookies into spooky Halloween cookie monsters. 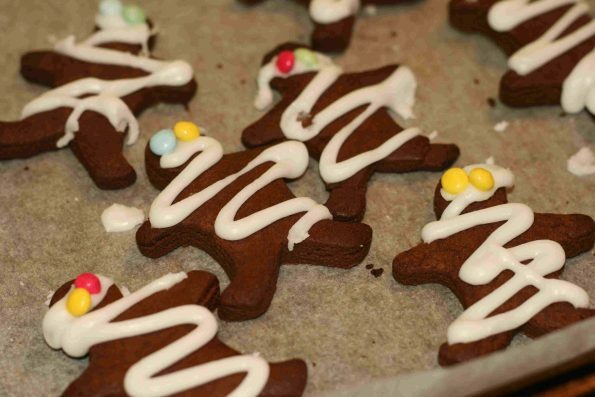 We turned regular gingerbread men into mummies with a little icing and some eyes. They are fun to make and tasty!